Natural SPF 50+ Sun and Wind Balm, suitable for sensitive skin, that can be used on babies, children and other members of your family. Made using natural, cruelty-free ingredients, this product protects your skin from UV rays and avoids nasty wind burn when you're out and about. Hydrogenated Polydecene, Aqua, Titanium Dioxide, Isohexadecane, Hydrogenated Polyisobutene, Methylpropanediol, Limnanthes Alba (Meadowfoam) Seed Oil, Solanum Tuberosum (Potato) Starch, Glycerin, Disteardimonium Hectorite, Hydroxystearic Acid, Healianthus Annuus (Sunflower Seed) Wax, Xantham Gum, Propylene Carbonate, Cera Alba, Parfum, Tocopheryl Acetate, Dehydroacetic Acid, Phenoxyethanol, Linalool, Hexyl Cinnamal, Limonene, Alpha Isomethyl Ionone. 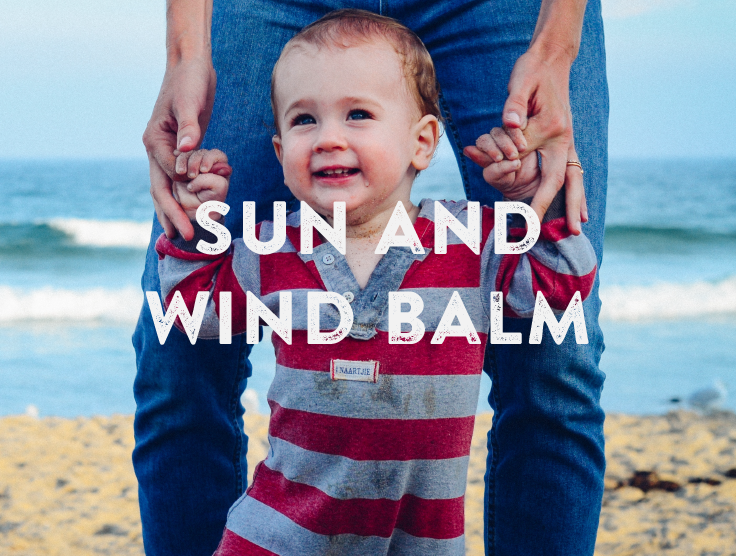 To hear about our Toddle Sun and Wind Balm when it launches, subscribe to our mailing list.